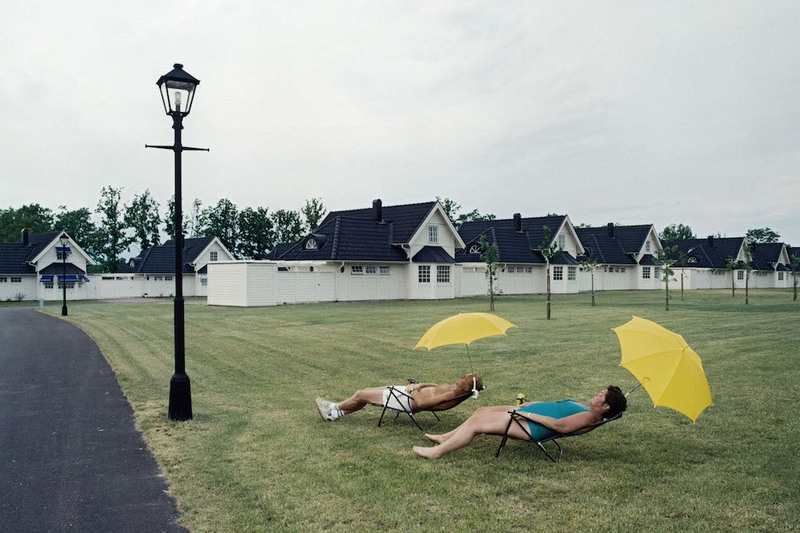 Sweden, Oland, 1991. From the series "Landet Utom Sig." Photo courtesy of Photo by Lars Tunbjörk/Agence VU. In 2017, Zócalo’s far-flung contributors took us inside the Swedish worldview, recounted Cervantes’ battles with literary pirates, reported on the dangers of being a journalist covering Mexico’s drug wars, and interpreted America’s concept of treason through the moral lens of Dante’s Inferno. Picking favorites among the hundreds of essay we publish each year is never easy, in part because of their sheer variety. Zócalo essays are grounded in many different ideas and questions, and they zig and zag across time, place, topic, and format. The essays we selected below represent Zócalo’s mix of the smart and the subtly wacky, and stood out—each in its own way—for feeling as fresh and resonant today as when we first published them. And although we have numbered the essays 1 through 16, these are not rankings—you can enjoy reading them in any order you like. James C. Cobb, a leading historian of the South, argues that while Confederate monuments should be removed from public places, they have such indelible value as historical artifacts that they deserve to be preserved in museums. Zócalo contributing editor Asha Rangappa, senior lecturer at Yale’s Jackson Institute for Global Affairs and a former FBI special agent, compares America’s narrow conception of treason with Dante’s broader ideas for punishing it. Are the Politics of Nihilism a Backlash Against the Enlightenment? Zócalo founder and editor-in-chief Gregory Rodriguez reads the Indian writer Pankaj Mishra’s brilliant book, The Age of Anger: The History of the Present, as a unified theory of our dysfunctional age that investigates the fear and nostalgia that angry Trumpites, Brexiteers, and radical Islamists all have in common. Finis Dunaway, a historian at the University of Trent, reveals the secret history of a landmark 1971 TV ad—and asks questions about the true nature of the environmental movement. General David H. Petraeus (U.S. Army, Retired), chairman of the KKR Global Institute and former CIA director, writes that security in the century ahead will depend more on moral imagination—and our ability to develop concepts of restraint—than on technological breakthroughs. Can American Jews Be White Nationalists? James Kirchick, a visiting fellow at the Brookings Institution and columnist for Tablet, offers a first-person essay on how White House policy aide Stephen Miller has caused him to re-examine some of his deepest beliefs about being American, being Jewish, and being a conservative. Tove Lifvendahl, political editor-in-chief of Svenska Dagbladet, provides a powerful first-person account of Sweden’s efforts to maintain a sense of itself as it wrestles with terrorism, immigration, and a high cost of living. Beth Daniels, who writes a classic movie blog, offers an appreciation for the Cold War-era cartoon show Adventures of Rocky and Bullwinkle and Friends, and its loving and still up-to-date critique of the ways that American ideals and American reality are often out of whack. University of Pittsburgh philosopher and cognitive scientist Colin Allen, and Indiana University humanities scholar and cognitive scientist Fritz Breithaupt, delve into the dark side of empathy, and how robots may exploit it. Karuna Mantena, associate professor of political science at Yale, first details the origins of organized nonviolence campaigns in Gandhi’s satayagraha campaigns and then suggests that the nature of what nonviolent action is, and how it works, has become dangerously ambiguous in our era of economic and political polarization. Dana Gioia, the California Poet Laureate and former chairman of the National Endowment for the Arts, tells the harrowing tale of Poetry Out Loud, a national poem recital contest for young people that demonstrates the power of the ancient, if now unfashionable, art of memorization. Myah Genung, who works for a nonprofit organization based in Los Angeles, shares intimate memories of her grandfather in Little Rock and recounts how she came to appreciate his pessimism about racism, even if she didn’t always share it. Martin Puchner, a Harvard literary critic and philosopher, looks back to Cervantes’ battles with the literary pirates who sought to make money off Don Quixote—and in the process raises questions about how we are responding to the new technologies reshaping literature and communication today. Richard White, the Stanford historian, takes us back to the Gilded Age to witness the development of the American concept of “home”—and asks if today’s Americans will ever develop such an all-encompassing narrative for our 21st century Gilded Age. E. Fuller Torrey, M.D., author of 20 books, including Evolving Brains, Emerging Gods: Early Humans and the Origins of Religion, from which this essay was adapted, explains how he combined old research on the brain’s origins with new brain-scanning data to fix the time, 35,000 years ago, when humans developed “an autobiographical memory” that made us aware of our own mortality and led us in search of gods.